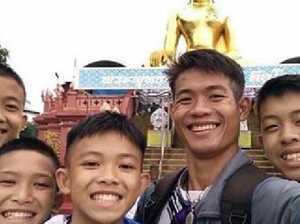 Rescued Thai schoolboys waving and smiling as they recuperate in hospital after frightening cave ordeal. 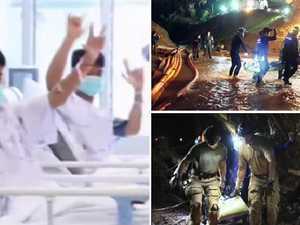 News They did something that wasn’t revealed to the public to make sure that if he did wake up he wouldn’t endanger his life or that of his rescue diver. News AFTER apologising for calling one of the Thai cave rescuers a ‘paedo’, billionaire Elon Musk has repeated the slur, potentially putting himself in hot water.